You might have noticed the odd blog post about Pink Clove on my blog before. In fact back when they started they went to their launch dinner and was one of the first to see their offerings - do you remember that infamous tartan dress? It sold out SO quickly because it was SO lovely. I have been a fan of Pink Clove from the start. 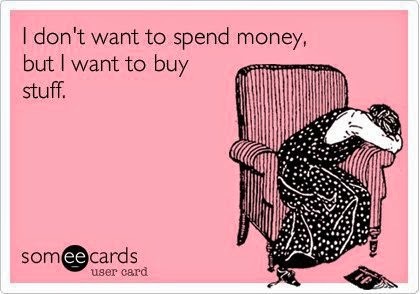 Since then I have blogged about things I'd like to buy if they did my size and tweeted about the lack of items in my size too. You see, Pink Clove do up to size 32 and that was something that always excited me about their brand. Over recent months the items that they offer up to a size 32 have gotten less and less - in fact in their new arrivals section they only have a selection of vests in different colours, everything else stops at a size 28. I know it can sometimes feel like I give brands a hard time, don't get me wrong I bore myself saying the same thing over and over again. However it is simply through disappointment, I love the items that Pink Clove offer and I get excited that they offer up to a size 32 until I see what is ACTUALLY available. 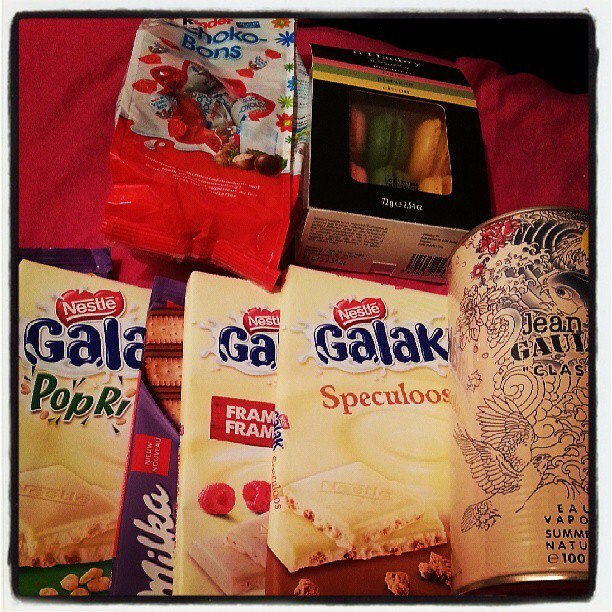 Anyway, a few weeks ago Pink Clove contacted me and explained that they would like me to try some of their items. They know that I have been quite vocal about my disappointments in the past but would like me to see just how good their items were - so I accepted. 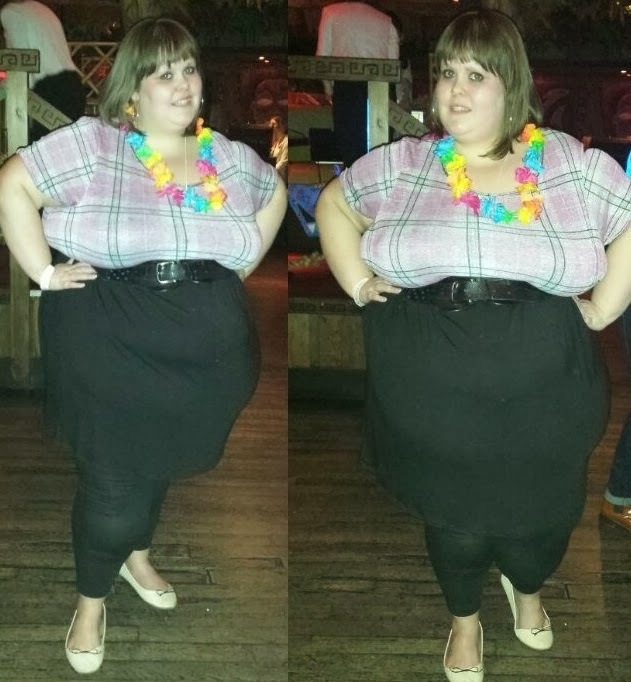 I chose 3 items in a size 28 and waited for them to arrive. 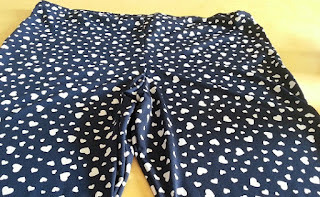 I can often make size 28 clothes work for me, they perhaps come up shorter or a bit tighter but that is not something that I mind. The clothes came quickly and I am happy to say the quality was great. The first 2 items are featured in this blog, but there is also a review of their denim shift dress to come! 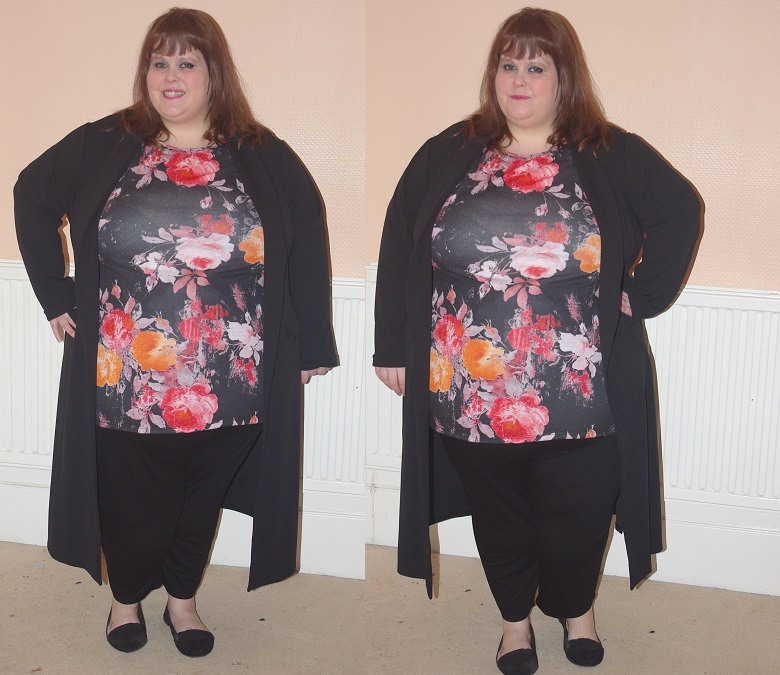 I chose this duster jacket simply because it's something a little different to me. I am not a fan of jackets in general but with winter well and truly here it's about time I start thinking about covering up. I liked the idea of stepping outside my comfort zone and trying something new! I am so glad I did. I really love the look of the jacket and I know it's something that I will be wearing again and again. The floral top is actually a dress but because of the size it comes up a bit shorter. 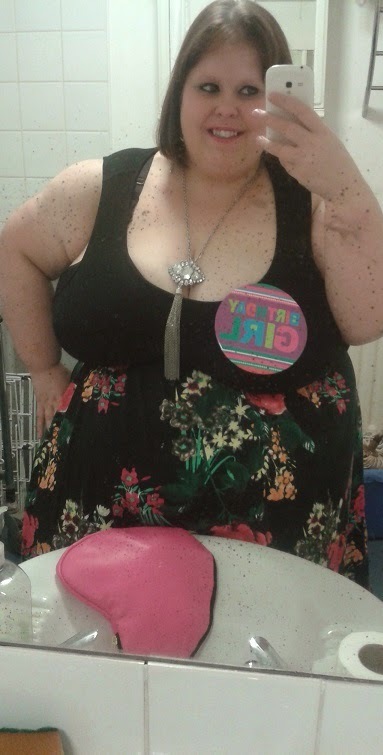 That said, I actually really like it as a top and it goes to show that you can make plus size fashion work for you! Another lesson about ignoring sizes and trying items to see how they fit! I'm not going to lie, I would love more Pink Clove items in a size 32. However that is purely because I love the items I already have in my wardrobe from there and I want more! At least trying these items has reminded me that I can make their items work for me and they look great - I'll definitely be trying them again! Have you shopped at Pink Clove? What are your favourite items? I have blogged about my lust of Silly Old Sea Dog dresses before - because when they announced their plus size clothing options last year I got very excited! At the time they did up to a size 28 and I believe at the moment they do up to a size 24 (with some choices up to a sze 28), with options to have dresses made in your size! I know, I would love to have more size options but I do recognise that often with independent brands it takes time to build up to that! 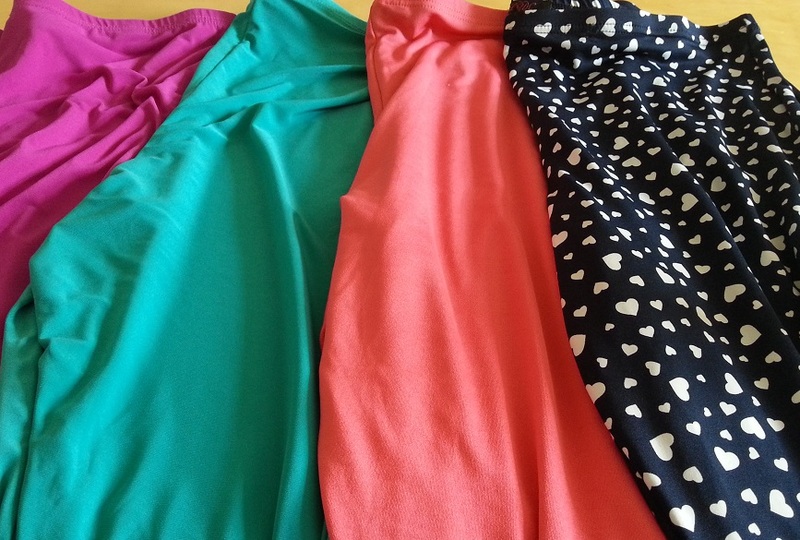 You can even choose your skirt length to ensure that you get a dress perfect for you. 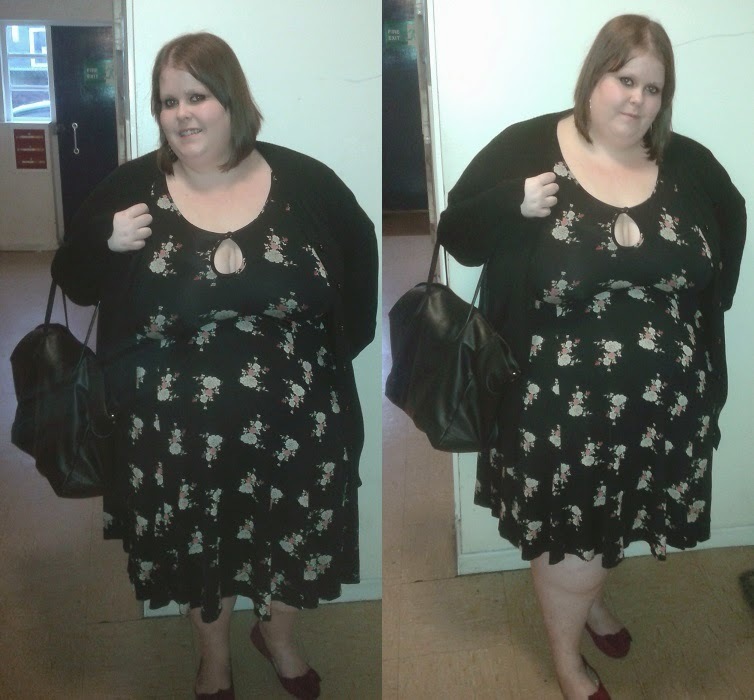 A few weeks ago the lovely team at Silly Old Sea Dog offered to send me one of their dresses in a size 28. I hadn't tried one of their dresses before, mainly because it's a lot of money to spend on a dress that isn't my size and I am not sure would fit. They sent me this lovely Winter Wonderland dress and I love it. One of the things I like best about the dress is the unusual pattern. I love that plus size fashion options are expanding (no pun intended) but having something which not many others are going to own is great - especially when you attend a lot of plus size events and have a fear of someone else turning up in what you're wearing! The dress is a little more expensive than I would usually spend, but that said you can feel the difference in quality. The material is sturdy but with a bit of stretch, so it holds you in and gives you plenty of support. I love how much material the skirt has, which gives it that real swishy effect. It just goes to show, once again that you CAN ignore clothing labels and try items on - you might just be surprised at how well they fit! Silly Old Sea Dog have an amazing range of dresses with some really fun, retro style prints. 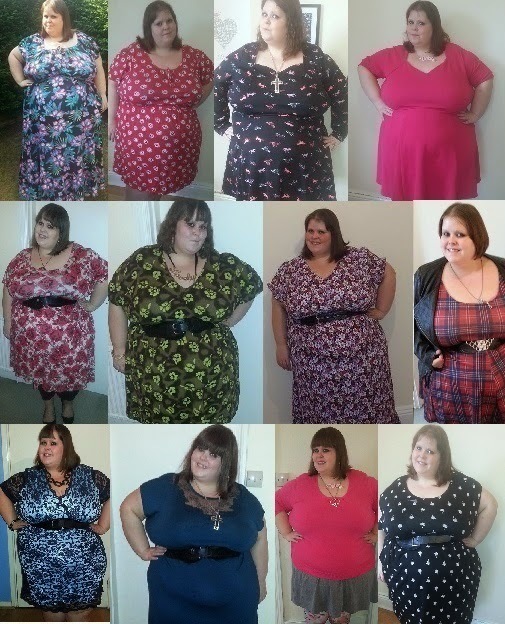 I love their range of patterns and dress shapes, it feels like there would be something for everyone. I have to be honest and say that I don't pay much attention to the seasons when it comes to clothing. I am not a massive fan of big winter coats or layering. When it comes to clothing I love bright colours and patterns and I don't see why winter should be any different. However I know that when it comes to winter, many people prefer to wear more muted colours - perhaps they are mourning the loss of summer? 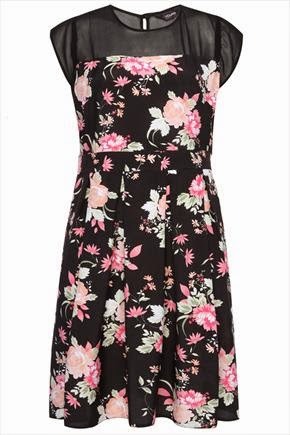 When Scarlett & Jo offered to send me an item a few weeks ago I chose this Black Floral Jersey Dress. I thought it would be good to have some darker colours in my wardrobe for winter, but the floral pattern gives a nod to summer which I miss so much! The dress itself is a lovely fit and definitely a bit generous, you could easily afford to size down. I love the length and the peep-hole at the top which allows it to be an evening or a day dress. It has a waist tie which also gives it a nice fit. To be honest with you at the moment it feels as though Scarlett & Jo can do no wrong and this dress is certainly no exception! What are you loving by Scarlett & Jo at the moment? 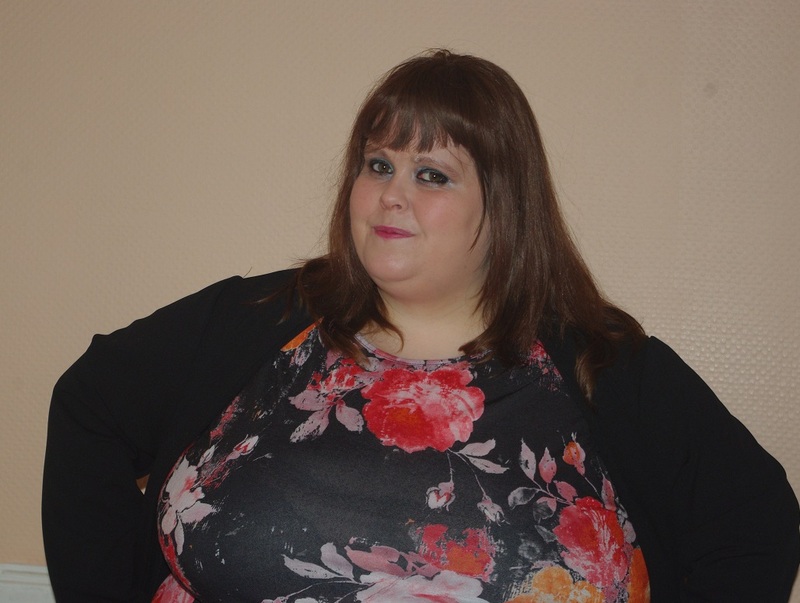 On Saturday I went to the British Plus Size Awards at the Blu Raddison hotel in London. At £130 a ticket I would probably have not have afforded to go, but I was lucky enough to win tickets via BGP Magazine and so I attended with Lucia from U Can't Wear That. I don't want to talk too much about the awards, because there are so many blog posts floating around already and I am sure there will be many more. What I do want to say is that the night was lovely, much nicer than I anticipated. It was really lovely to get dolled up, eat nice food and drink glasses of champers on the red carpet as you do! There were a number of awards given out, which I'll link at the end of this. It was lovely to see brands like Taking Shape, Yours Clothing and Curvy Kate supporting the awards. I do feel it was a big shame that brands such as Asda and New Look didn't get behind the awards, I'd love to see them there next year supporting the cause! The feeling of being in a room full of plus size women and their supporters is amazing. I love attending blog events and feeling the support of women who know what it is like to be in your shoes. Doing this within the glitz and glamour of an award ceremony, surrounded by women wearing AMAZING dresses was fantastic! The hotel was fantastic, the service was brilliant and there was so much glamour in the room that you couldn't fail to have a good time. The lovely team at Lady V London were kind enough to send me a dress to wear for the awards. I choose the Violet Poppy Print Hepburn dress. I initially wanted one of the Estella dresses but they have proved so popular that they've sold out in my size already - which is pretty amazing to be honest! The Hepburn only goes to a 26/28 but I thought I would try it anyway and have to say I love how it fits. I have some proper outfit photos and details which I'll pop in another post later on in the week! Whether it's award ceremonies blogger events, Facebook groups or just a get together with body positive friends we need to continue this trend of supporting each other and lifting each other up - because it's a feeling like no other! 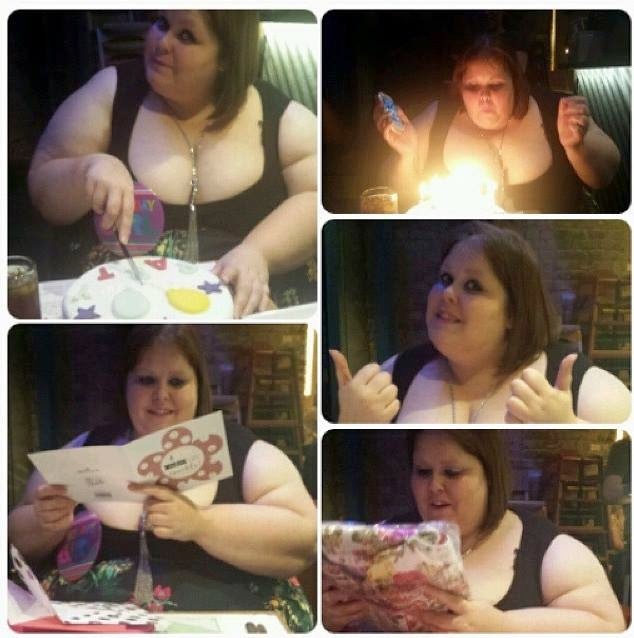 If you could give someone a Plus Size award - what would you give? House of Fraser: Plus Size Saviour? I am always pleased to hear about plus size options, so House of Fraser offering plus size clothing is fantastic news to me! 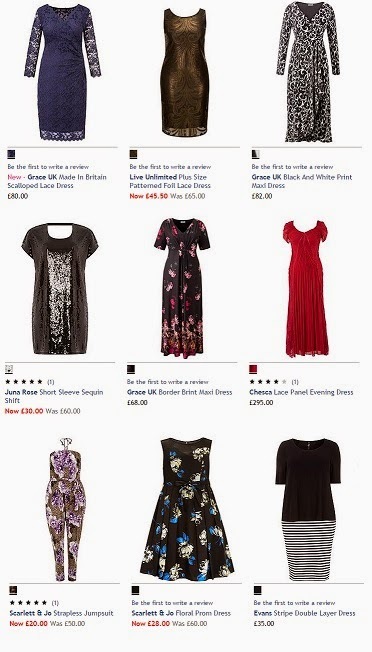 Actually House of Fraser and their plus size collection is nothing new, but it seems that their offerings have really improved over recent months. 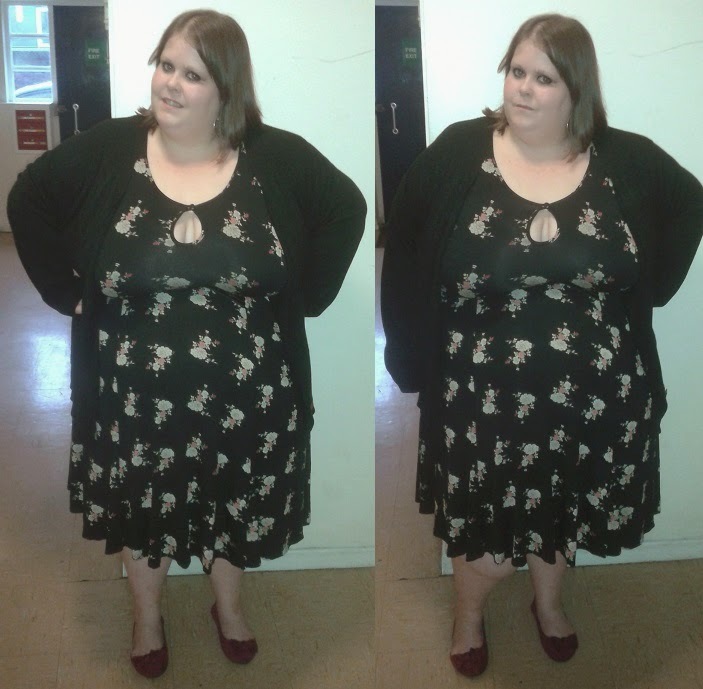 In October I had the chance to try House of Fraser for myself and I was pleasantly surprised by their offerings. I would say that they're not exactly breaking boundaries - because they're offering items that are already on sale by other brands. However, the chance to buy from a range of brands in one place is always good for me. Brands you can buy from include: Evans (including Scarlett and Jo), Taking Shape, Samya, Juna Rose and much more! They had a good sale on when I went too - and most of you will know I am quite the bargain hunter! They also do right up to a size 30, which is another bonus. I chose this Spotted Skater Dress from Evans. I love the fact that it is only £20 too! For me the fit is perfect and the pockets are a nice addition. Its a really nice material which makes it nice to wear in colder weather. I teamed it up with leggings but the length meant I could have easily worn it without too. 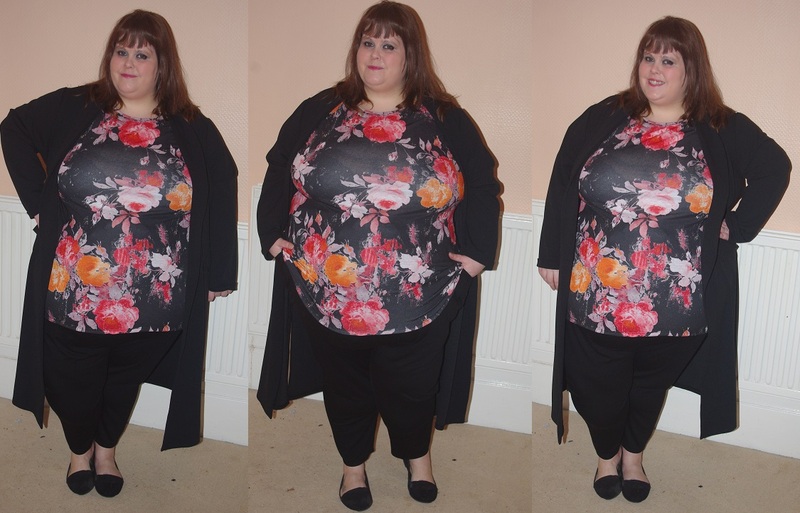 Have you bought anything from the House of Fraser Plus Size Collection? Will This Fit? An Evans Shape Stylist Review! Last week, the lovely ladies at Evans contacted me to tell me about a new service they're offering - The Shape Stylists. For me, it seems like such a fantastic idea and I am so surprised that something like this isn't used more often. I am sure we all shop in much the same way when we shop on the high street - we hold items, we feel material, we stretch items etc just to see how well they'll fit us and whether we like them. Whilst online shopping is fantastic, you just don't get this same experience - especially if you want to buy an item that hasn't been reviewed by a blogger. The idea behind The Evans Shape Stylists is that you can chat to someone about the items you are interested in and how well you think they will fit. You can ask them about stretch, length, size and even items to be paired up with them and recommendations! 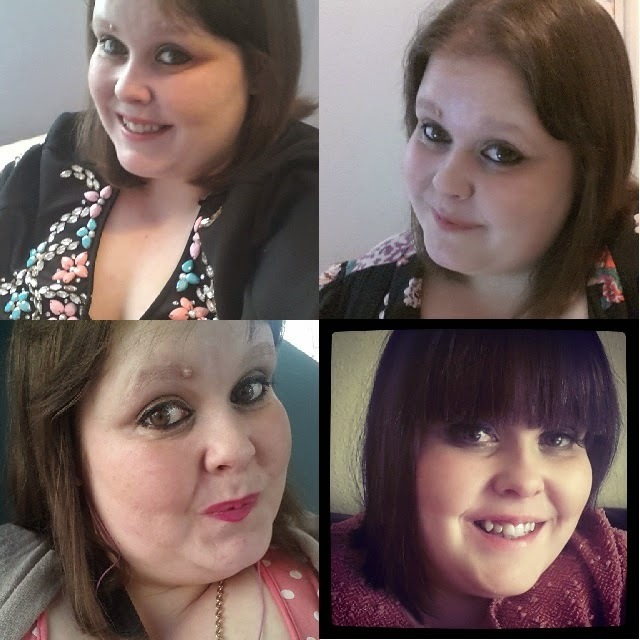 The stylists themselves are store staff from up and down the UK, so you get to speak to people who really know the products and are experienced when it comes to fitting them onto plus size bodies - brilliant! When Evans gave me the chance to try the service for myself and buy a few items, I jumped at the chance - just because I think it's quite an exciting idea! I tried not to speak to the Evans ladies too much about the service before I went into it, just because I wanted to go into it as a normal customer and see how easy it was - and I was pleasantly surprised! I decided to be sensible and look at getting some jeans and some winter boots, as I think I really have to start to come to terms with the fact that summer is well and truly gone. My Shape Stylist was Sarah and she couldn't have been more helpful! I haven't put the whole conversation up (because I chat ALOT!) but it gives you an idea on how the screen works and just how easy it is to chat to someone on this service. Sarah ended up finding me some lovely ankle winter boots that I wanted and recommend that I give Jeggings a try, as I had been put off of buying these in the past - just because they're not something I've ever been able to buy on the high street and when shopping online it's hard to know what size to go for etc. I found Sarah really friendly and she clearly knew her stuff. What I really loved is that it wasn't just about trying to push items for me to buy in order to make the sale, instead she was more than happy to tell me items to avoid and things that she didn't think I would get on with. I ended up making a few purchases thanks to Sarah, which I am waiting to arrive and will review another day! I have to say that having another person to ask when it comes to plus size shopping is fantastic. 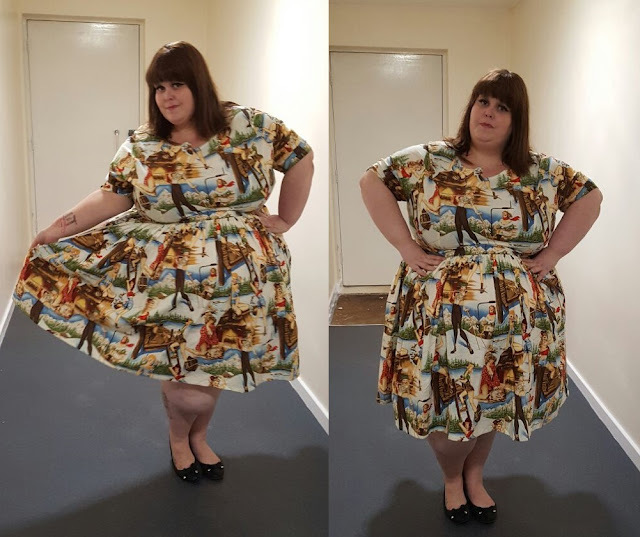 I have relied heavily on plus size bloggers when it comes to product recommendations and help with brand sizing, but now having someone else to ask is bloody brilliant! You can use the Shape Stylist service 7 days a week... 9am-9pm Monday-Friday, 3pm-7pm Saturday and 5pm-9pm Sunday too! 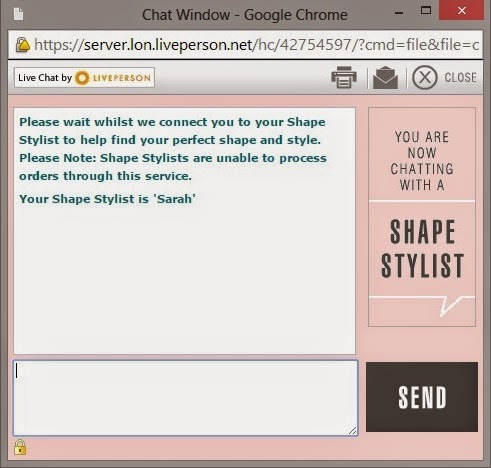 Have you tried the Evans Shape Stylist service before? Do you think this is something that you would find helpful? Clothes That Strictly Have The X Factor! WOW. Do I Get An award for the worst headline ever?? Probably! Anyway, after a busy few weekends and another weekend away next weekend I thought I should have a quiet one this weekend - and actually I am quite enjoying! I had a beaut of a curry with my family earlier and now I am watching Strictly Come Dancing and X Factor is to follow! Often when I am watching TV I find myself online window shopping and lusting over items that I can't afford or might buy in the future! To be honest this gets bigger and bigger each week, there's just so many pretty items out there! So... I thought I would share with you some of the items I am lusting over at the moment! I know it's not a very wintery pattern or colour but I really love this dress! It's in the sale for £22 at the minute too which is a bit of a bargain! I haven't had massses of luck with swing dresses but I am determined to try them more. I really love this unusual print and colouring. I have lusted over this baby doll check dress ever since I spotted it at Style XL! It's currently in the Simply Be sale so I would probably snap it up before it goes! Nicky Rockets has a whole number of really funky, curvy character based t-shirts and this is my fave! I've held off so far because I am not sure how it will fit, but I do need to buy one of these at some point! 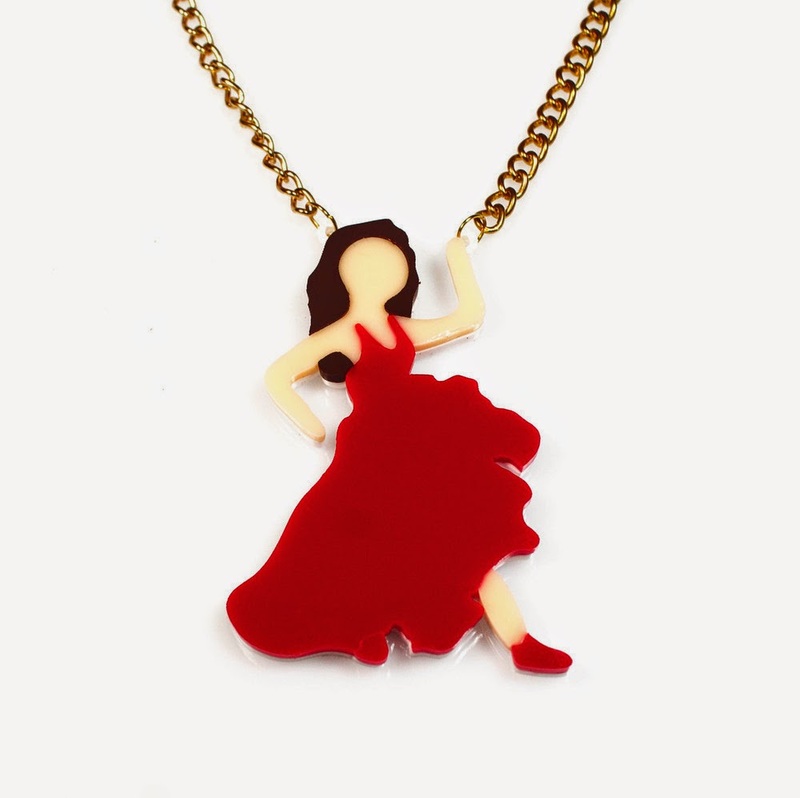 Something a little different, but this Dancing Lady Necklace from the team over at Black Heart Creatives could not be more perfect! So there you have it, 5 items that are well and truly on my wishlist at the moment! What are you lusting after? While I was in London I celebrated my birthday by having dinner with friends in Wahaca in Angel - which was amazing and lovely! 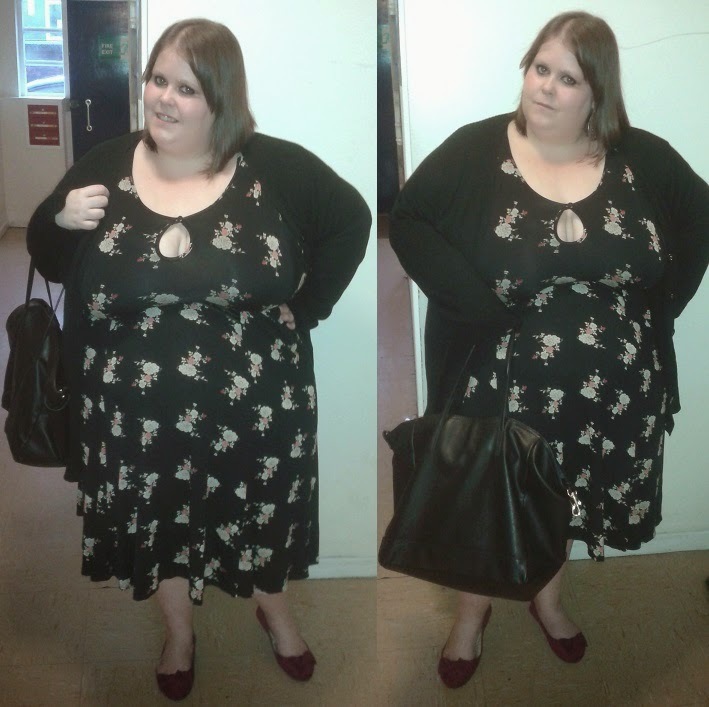 I wore an ASOS dress which has fast become one of my favourites. Unfortunately I was too busy having a good time and drinking passion fruit mojiotos to take any proper outfit pictures, but here are a couple I took of the night and a quick, cheeky bathroom selfie so you can see a bit of the dress. It is the same dress I blogged here, except it is in a different pattern. I love the dress & the fit though, I really can't recommend it enough! In other news I have been using a hair treatment on my hair and it's really improved the condition of it. 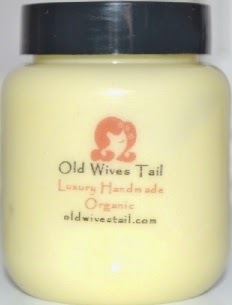 The lovely team over at Old Wives Tail sent it to me a few weeks ago and I really love the conditioner makes my hair feel. I have to admit to being quite lazy when it comes to hair products etc. so I never want to use anything that is too fiddly. I've been putting their Argan & Rosemary Organic Oil Treatment on wet hair and then washing it out an hour or so later. It is quite tricky to wash out because it's oil based but it's well worth it for the shine and feel of my hair afterwards. They actually stock a range of products for hair, so it's worth seeing what they have to suit you. I was lucky enough to be gifted the item (but my opinion is still honest) but their prices seem pretty reasonable anyway! Tomorrow I get the honour of celebrating turning 32! To help me prepare for this beautiful, lovely feeling of old age approaching Yours Clothing have given me £10 to give away to one of you guys - YAY! 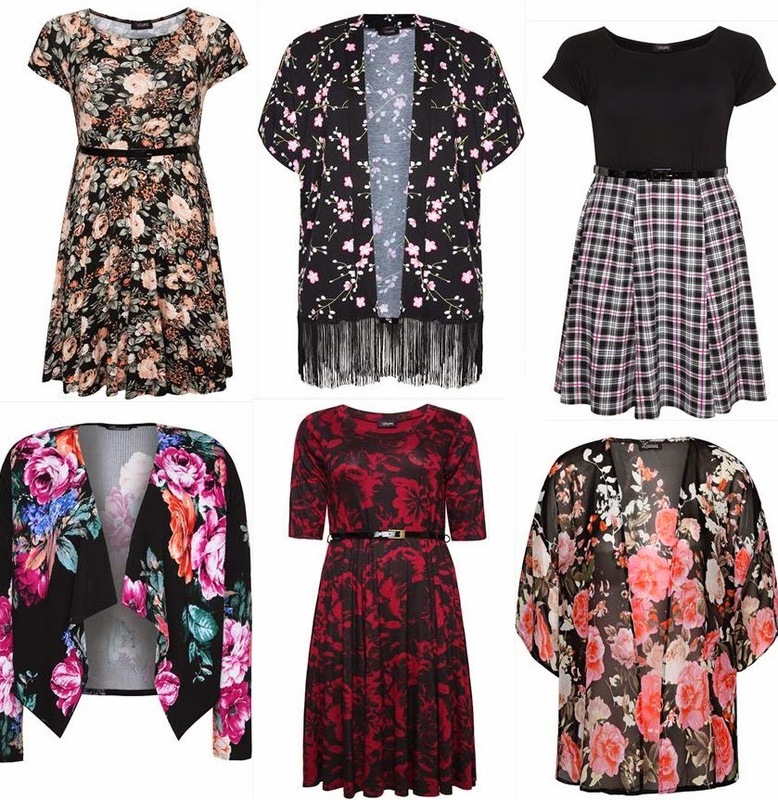 To me, Yours Clothing are another plus size brand that are doing so well at the moment. They have been to a few of the events I have been at recently (Style XL and Plus North) and it seems that they're really listening to what customers want at the moment, which is always a good thing! 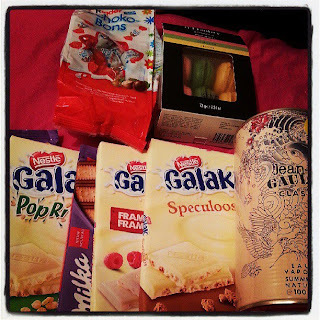 If I won £10 I'd definitely put it towards some of these great items! What would you buy? HAPPY 200TH POST TO ME!!! I thought I'd do a little catch up post on my social media pages, so you know where I can be found. 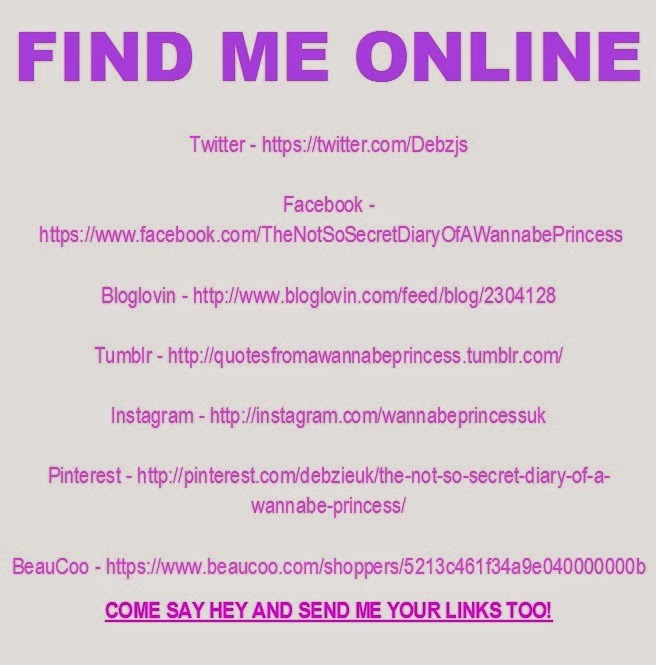 I'd love you to like, tweet, follow and generally find me online where you can! Don't forget to send me your links too! A few days ago, Hollie over at Pretty Big Butterflies had a great idea for a monthly blog challenge. As soon as I read about it and she invited people to join in I wanted to be a part of it! 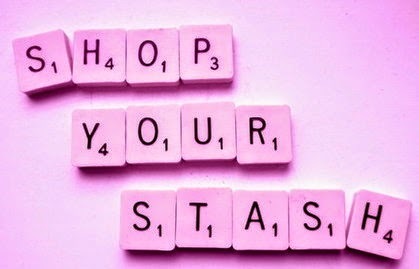 And so.. introducing my very first Shop Your Stash post, a blog challenge that has been born today! YAY! "This is all about finding a gem in what you already own and creating a blog post on it. This is to let go a little of the stress that comes with being a blogger - even if it is just once a month. Rummage through your beauty products and climb through those clothes draws. You might surprise yourself!" To be honest with you, this post being today is pretty perfect for me. This weekend saw me reach the end of my own Shop My Wardrobe for Lent challenge, where I decided to give up clothes shopping for lent! I am very proud to say I did it! WOO HOO! I tried not to blog too much about my clothes shop ban, simply because I didn't want to blog about outfits I had already told you about & fill the pages with needless drivel (even though I do that sometimes). At times I did want to buy a new dress - Pink Clove and ASOS have been my enemies throughout the last 40 days, simply because their New Arrivals sections have been BEAUTIFUL! However, being the selfie queen I am I have shared more than a few pics on social media over the last few weeks, so I thought I would combine the Shop Your Stash post with Shopping My Wardrobe for Lent and show you some of the things I have been wearing over the last few weeks! 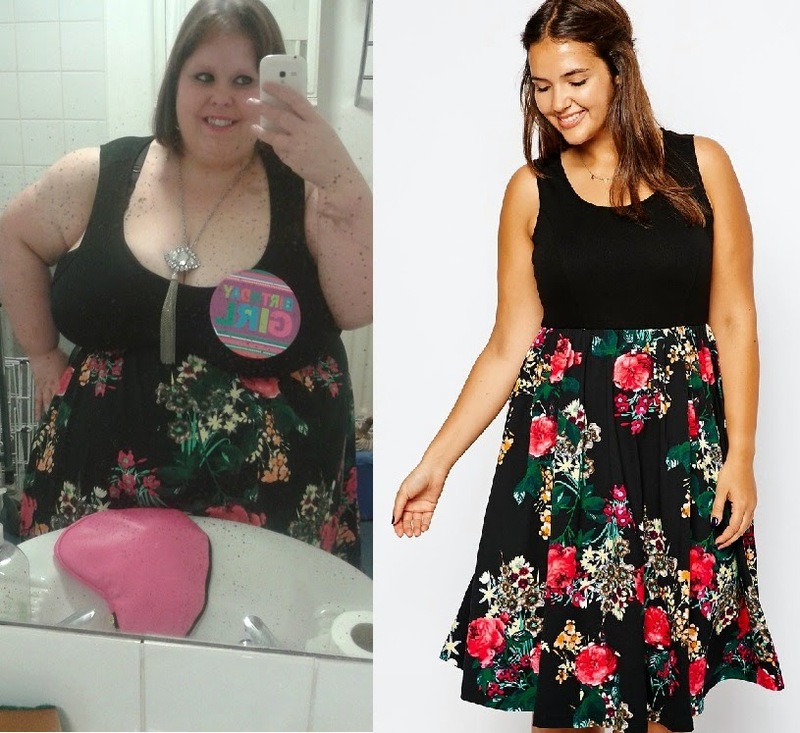 Giving up clothes shopping was hard (I am not going to lie) but I am really glad I kept it up and proved to myself that I could do it! This Shop Your Stash challenge has come at the right time for and I am looking forward to seeing what I can do for future posts! It doesn't matter whether it's wine, make up, clothes or pretty much anything else - you can't beat a bit of pink. At this time of year it is really nice to start to see colour coming through in fashion and that is something that I really enjoy and look forward to. Last week, the kind folks at New Look Inspire offered to send me an item or two to update my summer wardrobe - how could I refuse? I chose a green dress which I am going to wear out on Saturday and this lovely pink tartan number. 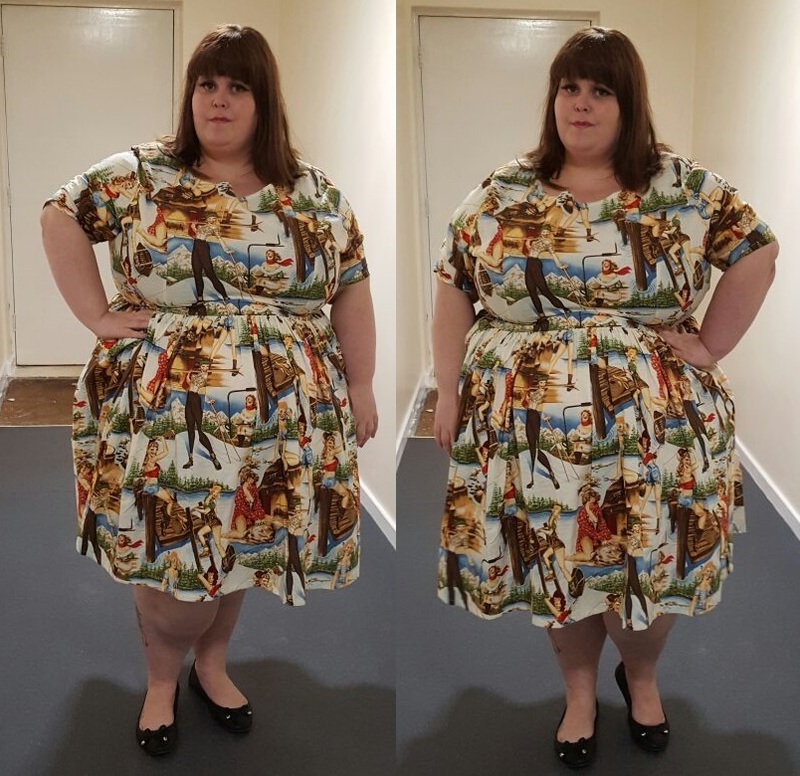 I really love that New Look Inspire now have many items up to a size 32(though I would love to see this extended through to store!) 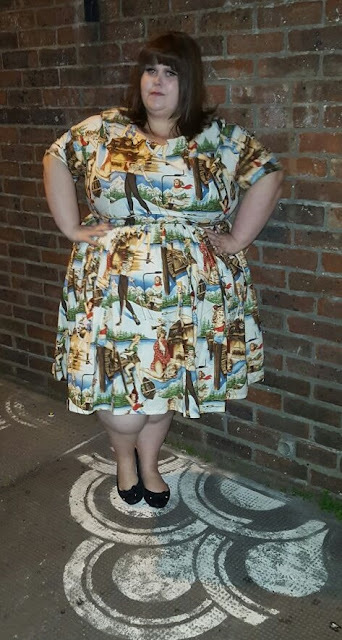 although this t shirt dress is only up to a 28, which is what I am wearing in the pictures. That said, it is the perfect size for me and has plenty of room! When the dress arrived I was glad to see it was a nice thick material that had plenty of stretch it it. I love pushing the boundaries of tight and fitted clothing but sometimes it is nice to just have something you can throw on and be nice and comfy in - this dress is definitely going to be one of those pieces. 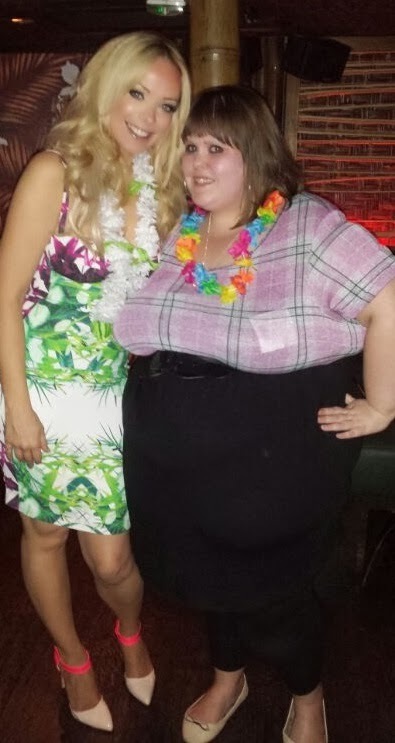 I wore it to meet this lovely lady - you can read why in another post later this week! I have to say that I am quite impressed with the New Look Inspire range at the moment and there is deifnitley a few items I have my eye on for when my clothing ban for Lent has finished. 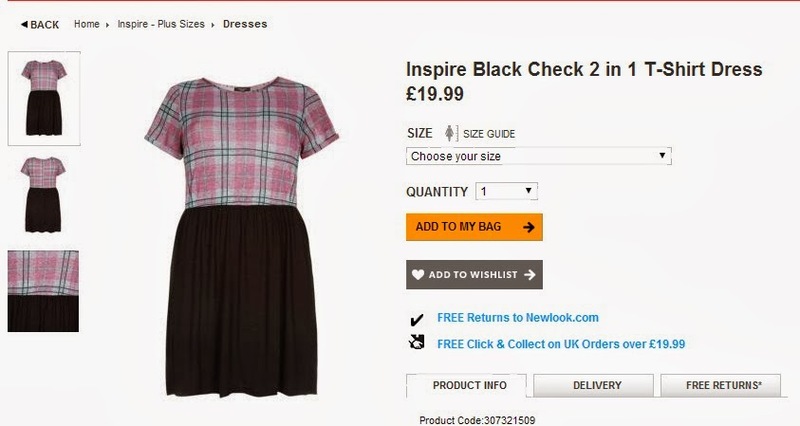 Have you ever shopped at New Look Inspire? What do you think? Win A Dress From Yours Clothing! 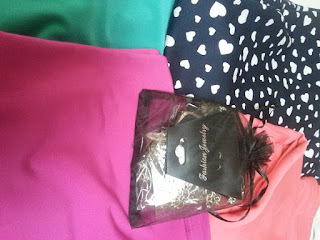 My third giveaway this week to celebrate my birthday is from Yours Clothing! 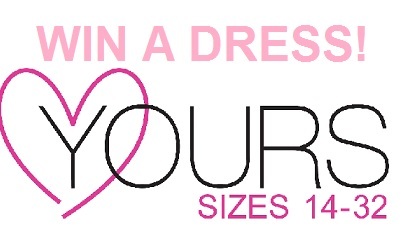 Yours Clothing are kindly giving one of you the chance to have one of their dresses in your winter wardrobe! The plus size retailer have a massive range of dresses right up to a size 32, so the hardest job you'll have is to decide which one of their pretty dresses you want to win! I'd love to hear about your favourite Yours Clothing items! Everyone who knows me knows that I don't shy away from colour. I love colourful clothes, floral patterns and clothes that have something to say about themselves. In general I like to wear bright coloured tops and finish them off with a pair of dark leggings. I love this look because I think it is something that you can pull off for any occasion and depending how you dress up (or down!) an outfit this style can be suitable for day or nightwear. However, when I saw these leggings on Love Ur Curves, I knew I had to try something new! I have been on the search for bright leggings for a while now but haven’t been able to find anything that really grabbed my eye - especially without paying over the odds. I have bought a few pieces from Love Ur Curves, so when I saw these at 2 pairs for £15.00 I couldn't resist! They have a massive range of colours available; it was hard to pick just 4 I wanted! My package came yesterday.. I also ordered 2 necklaces which are equally lovely. 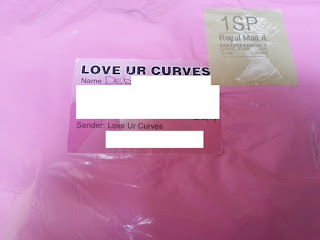 I love buying from Love Ur Curves because the items always arrive quickly (I ordered this Friday, it arrived Monday) and are well packed... Their colourful packaging always gets me excited when they arrive! I have to say - the leggings do not disappoint! I ordered a size smaller than normal (doesn't everyone do that with leggings?) and they fit really well! 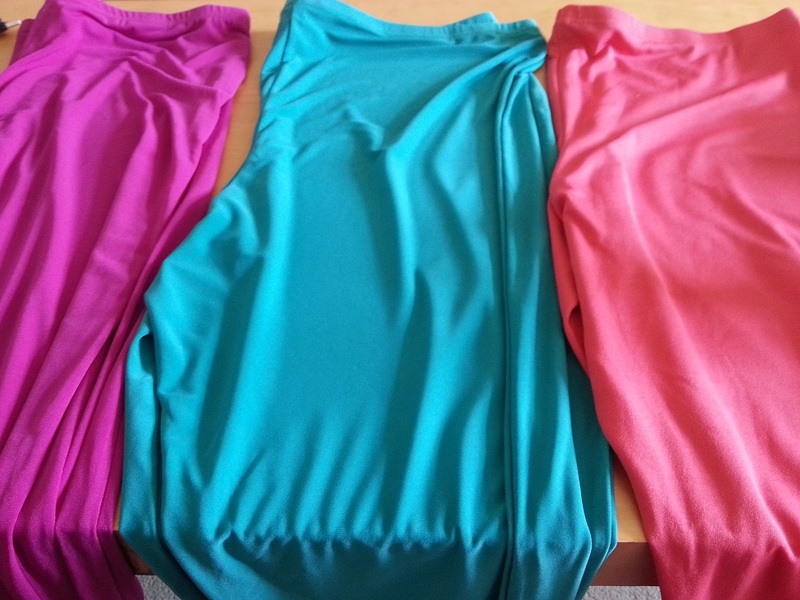 There is also loads of stretch in the material so they're comfy and would fit a range of sizes. 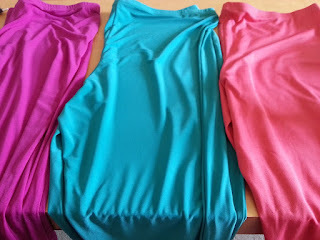 I love these 3 plain, block colour leggings and I can already think of a few dresses in my wardrobe that these would be suitable to wear with. The great thing about leggings of one colour like this is that they're easy to dress with almost anything and you don’t have to worry about patterns clashing. I fell in love with these leggings straight away but worried about what I would be able to wear them with. Most of the clothes in my wardrobe are patterned, so I was worried about having an outfit that clashed just a bit too much. However, I went to Evans in Marble Arch yesterday and picked up a great dress that I can wear with these. I plan to wear it on Friday, so I'll be able to do a proper outfit post then! If you're looking for plus size clothes with a difference then Love Ur Curves is great. She also stocks some stuff that you see popping up on other sites, but generally with a lower price! Yesterday, I went for a day trip to De Panne in Belgium. When we booked it, it was supposed to be a lovely day, on the beach in the sunshine! However, the great British summer did it's best to ruin it for us! Despite the rain though, it was a lovely day! While walking through the main town centre in De Panne spotted a shop that seemed to have plus size mannequins in the window (WIN!) so we wandered in. To be honest, I wasn't convinced they would have anything in my size (on a high street.. surely not!) but I was drawn in by the amazing colours of all the clothes they had... I know, plus size clothes on a plus size mannequin in a colour other than black... MIND BLOWN! Anyway... All of the clothes were labelled in S, M, L, XL etc so I had no idea on what the real sizes were... But remembering my 'Dress Sizes Are Pants' post, I decided that didn’t matter and I would simply see if they fit me rather than pay attention to the sizes of the label. The great news is that I came home with two amazing t-shirts (I could have shopped more but we were pushed for time). As you'll see from the pic, the colour and slogan on these is right up street. 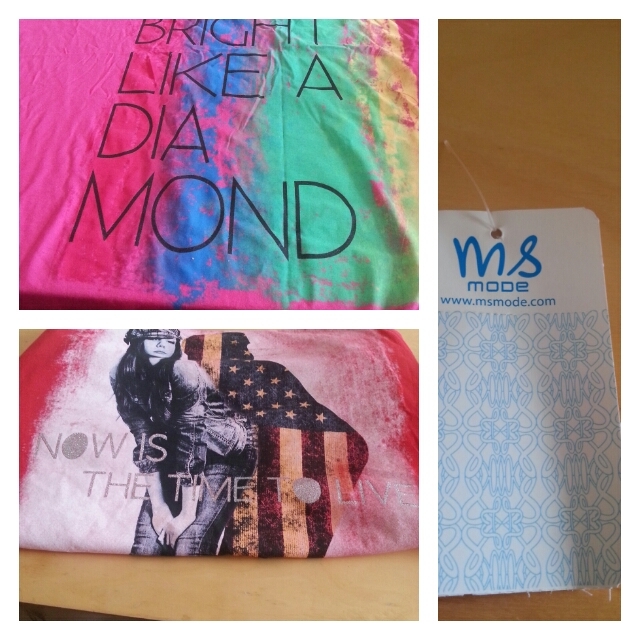 I really love the colour and print on both of these t-shirts! They're a bit short to wear with leggings (personal preference) so I shall be investing in some jeans to wear this with! I haven't worn jeans in over a year, but I figure it's all about breaking barriers so I'm going to do it! I'll do a proper outfit post when I have the jeans and give these amazing t-shirts their debut! I'd love to hear about you breaking the barriers clothes purchases & style choices!